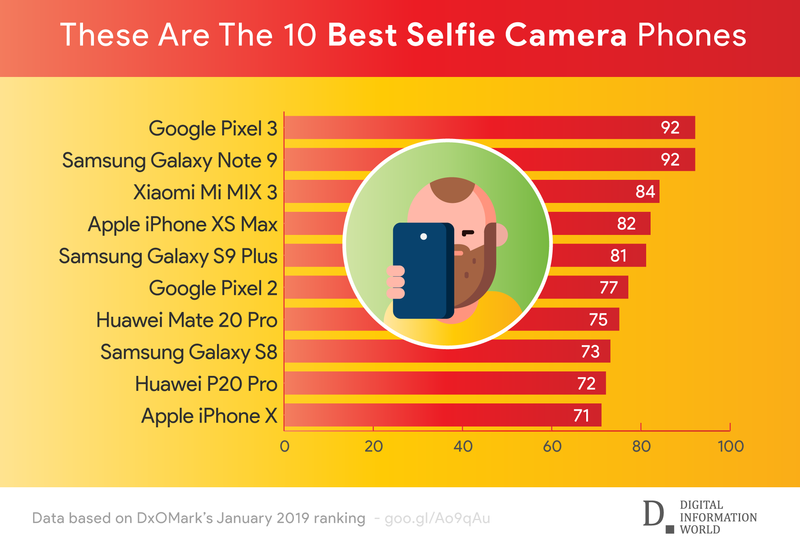 DxOMark has released a list of the best phones in the world for taking selfies. People often base a lot of their choices around the quality of the front camera that ends up being offered to you when you decide to purchase a particular phone. Hence, figuring out which phones succeed in terms of providing you with the highest quality front facing cameras possible is very important indeed because of the fact that it can help you make a decision regarding which cameras you want to eventually go with when you are making a purchase. DxO’s rankings have some surprises in the list. For example, iPhones have not been ranked quite as high as one would have thought. Indeed, the iPhone XS Max for all of its pomp and glamor only managed to make it to fourth place because of the fact that DxO has tried pretty hard to make all of their rankings as impartial and unbiased as possible. The top spot in terms of the front facing camera that they possess as well as the quality of selfies that you can take with them has actually been shared by two phones. These two phones are the Samsung Galaxy Note 9 as well as the Google Pixel 3, so companies that might not have been known for the quality of their cameras have actually ended up getting ranked pretty highly in terms of the results that they could potentially provide you with. Ranked below these two phones is a surprise appearance by the Xiaomi MI Mix 3. China has been reviled for producing subpar products but the newest crop of Chinese companies seem to be producing some incredible stuff and this ranking proves it.